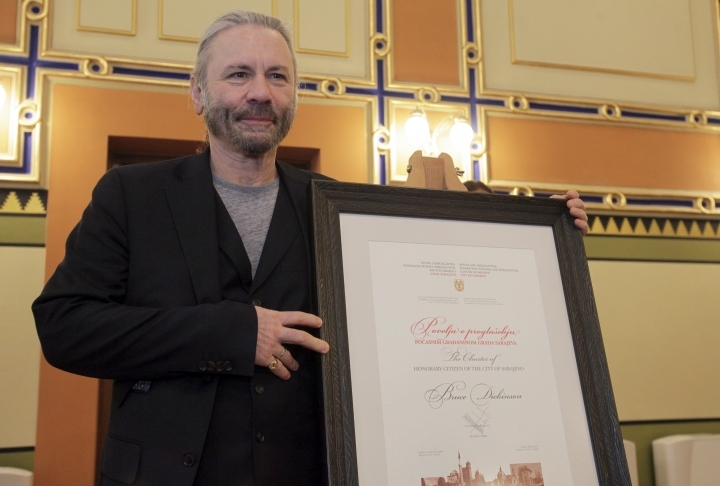 SARAJEVO, Bosnia-Herzegovina — Bosnia's capital city made Iron Maiden lead singer Bruce Dickinson an honorary citizen Saturday for a concert he performed while Sarajevo was under siege during the 1992-95 war. 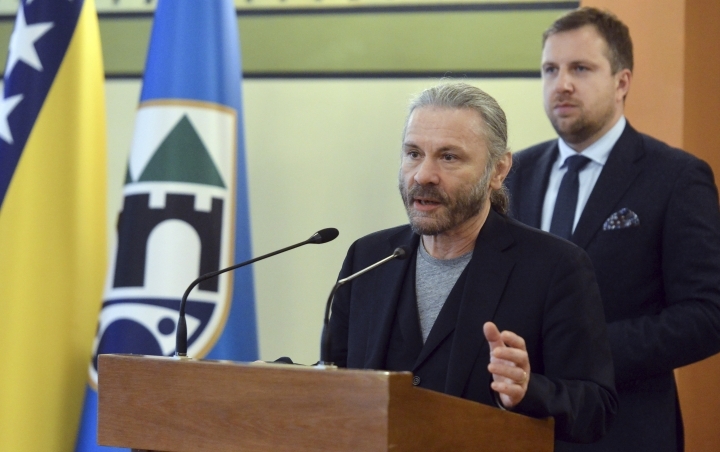 "The arrival of Mr. Dickinson in Sarajevo in 1994 was one of those moments that made us in Sarajevo realize that we will survive, that the city of Sarajevo will survive, that Bosnia-Herzegovina will survive," said Skaka. 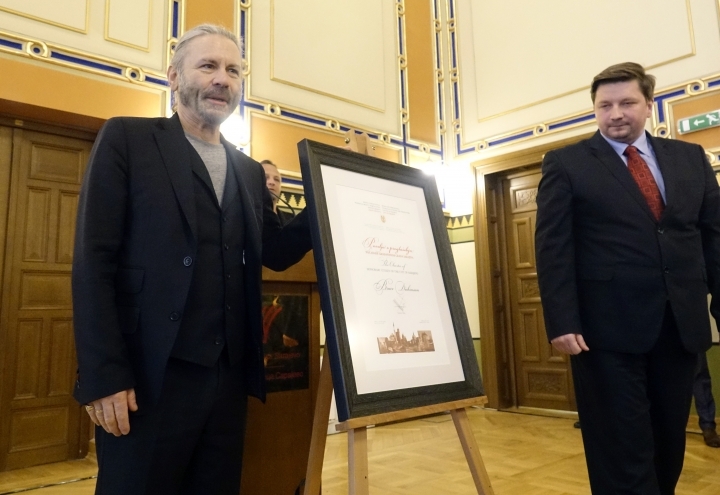 Saturday was Sarajevo Day, which marks the city's 1945 liberation during World War II and the start in 1992 of the Bosnian Serb siege that killed more than 11,000 people, including 1,600 children. 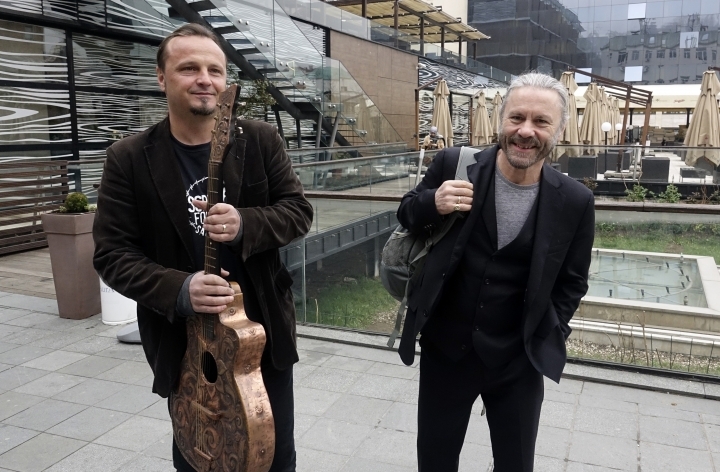 Dickinson, who also walked through the city center greeting people and signing autographs, said that "it's a great honor to be given the honorary citizenship of Sarajevo." "In a world where things only last for about five seconds on social media ... people are still remembering it. That's really quite something," he told The Associated Press. "This is a brilliant day, a lovely day and it's great to be back." This story has been corrected to show Dickinson did not perform with Iron Maiden bandmates.